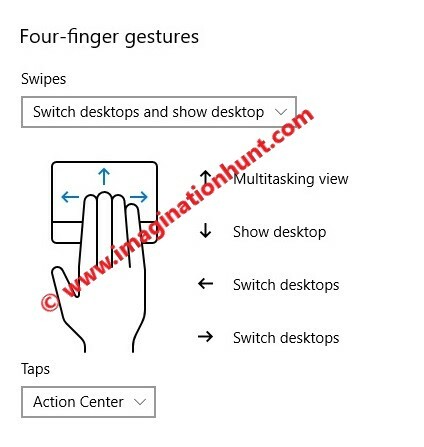 Hey, folks this time Windows come up with some new and interesting Touchpad gestures which make you feel really excited. And in this article, I am excited to share those awesome touchpad shortcuts with you. If you haven’t try those then get set ready to make your work efficient without clicking the mouse buttons. (1) Single click: Tap with a single finger to select an item. 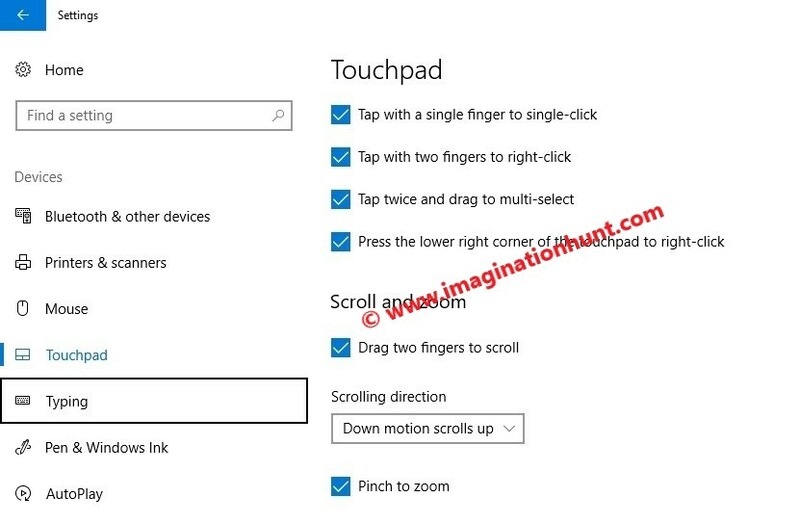 (2) Right-click: Tap the touchpad with two fingers. (3) Drag and Multi-select: Tap the touchpad twice with a single finger and drag to select multiple lines. (4) Scrolling: Tap the touchpad with two fingers gently and slide horizontally or vertically. (5) Zoom in or out: Place two fingers gently on the touchpad and pinch in or stretch out. (6) Drag windows: Double-tap the touchpad and drag the menu bar (top of app window). (7) Show Task view: Place three fingers on the touchpad and swipe them vertically up. (8) Show the desktop: Place three fingers on the touchpad and swipe them vertically down. (9) Switch between open windows: Place three fingers on the touchpad and swipe right or left. 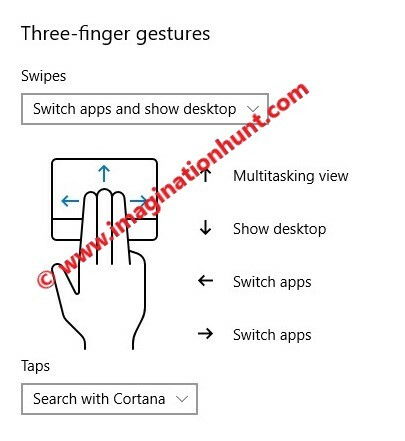 (10) Cortana: Tap the touchpad with three fingers and Cortana will pop-up from lower left corner. (11) Action Center: Tap the touchpad with four fingers and Action Center will pop-up from lower right corner. 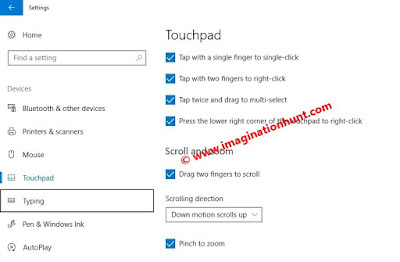 Read How to check PC has a precision touchpad? 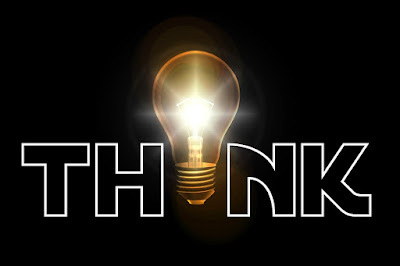 Hope you find the article helpful. Previous – How to view computer hidden files in Windows 10, 8.1, 8, 7 and XP? Next – How to delete Temporary files from windows? How to check PC has a precision touchpad?